Geothermal systems use the stable temperature of the earth to heat or cool a house or building. They are also known as ground source heat pumps and instead of generating heat by burning fossil fuels, they simply transfer heat from one location to another. Evergreen installs closed loop geothermal systems, which circulate a water and antifreeze solution through plastic pipes buried beneath the earth's surface. During the winter, the fluid collects heat from the earth and carries it through the system and into the building. During the summer, the system reverses itself to cool the building by pulling heat from the building, carrying it through the system and dumping it to the ground. This process creates free hot water in the summer and delivers some hot water savings in the winter. 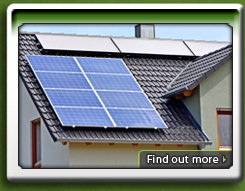 Solar Photovoltaics also referred to as Solar PV uses sunlight to generate electricity. Solar PV modules are installed on a roof surface or ground mount in a location that has southern exposure and remains unshaded between the hours of 9 AM and 3 PM. Most PV modules generate Direct Current (DC) power that is then modified to Alternating Current (AC) using one or more inverters. The inverter output is 120/240 or 208/480-volt electricity that can be used in your home or business. Evergreen installs most brands and sizes of PV modules on roofs, ground mounted racks or poles, and specialty structures such as awnings and carports. Solar Thermal uses sunlight and a collector device to generate hot water that can be used for domestic hot water needs, to heat a building, pool or spa. 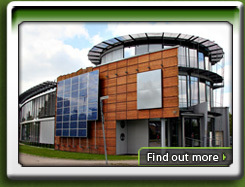 The majority of solar thermal systems are installed to generate domestic hot water for use in a household or business. Solar collectors come in two different types, flat plate collector and evacuated tube collectors. Evergreen installs both flat plate and evacuated tube collector systems. A system typically includes two or more flat plates collectors, a well-insulated storage tank and a circulating pump package and controls. Evacuated tube collectors generally come in groups of eight or more tubes to a single collector assembly; however, the actual configuration varies by manufacturer. Wind turbines use generators powered by the wind to create electricity. Although designs vary by manufacturer, most small wind turbines generate varying three-phase alternating voltage (AC) electricity known as wild AC at the turbine. The wild AC is then converted to direct current (DC) electricity, and then modified to alternating current (AC) using one or more inverters. The inverter output is 120/240 or 208/480-volt electricity that can be used in your home or business. Evergreen installed one of the first large residential wind turbines in Connecticut in December 2009. Evergreen installs small wind turbines from five to one hundred kilowatts in capacity.